Beer Canada presents at the Master Brewers Association District Ontario Conference on January 31. 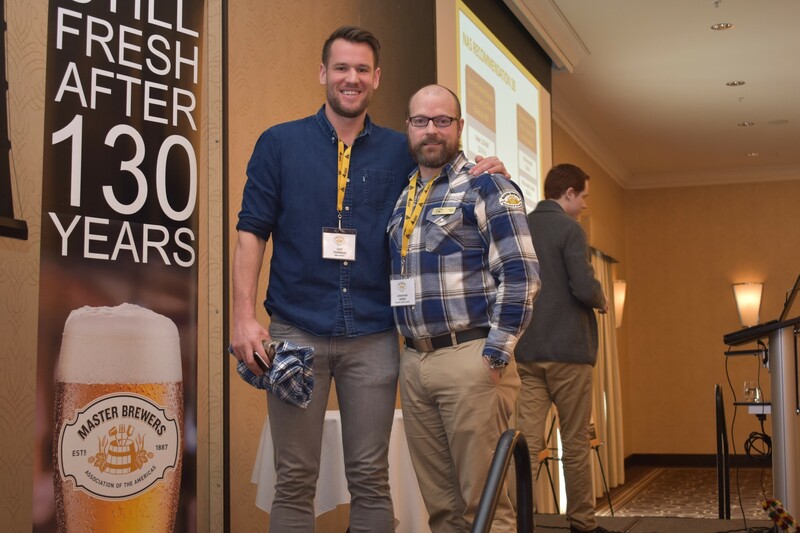 Luke Chapman, Beer Canada and Jonathan Morse, Molson Coors Canada. 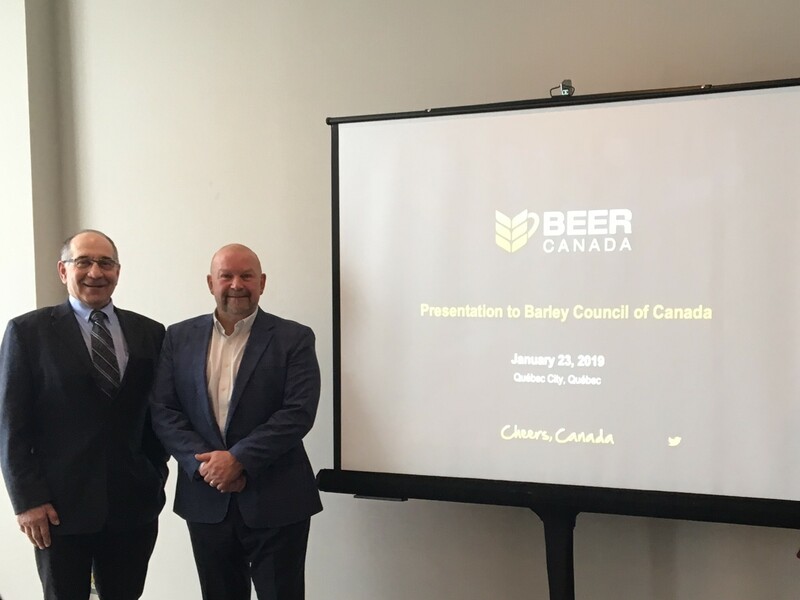 Beer Canada presents at the January 23 Barley Council of Canada meeting. Zenneth Faye, Saskatchewan Barley Development Commission and Phil de Kemp, Barley Council of Canada. Beer Canada hosted Canada's Parliament on October 5, 2017 at the Celebrate Beer Fall Fête. 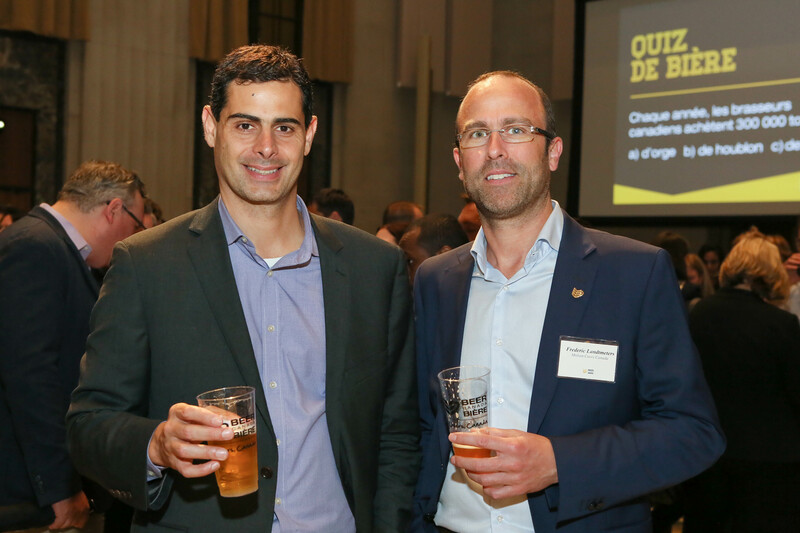 Marcelo Abud, Labatt Breweries of Canada and Frederic Landtmeters, Molson Coors Canada. 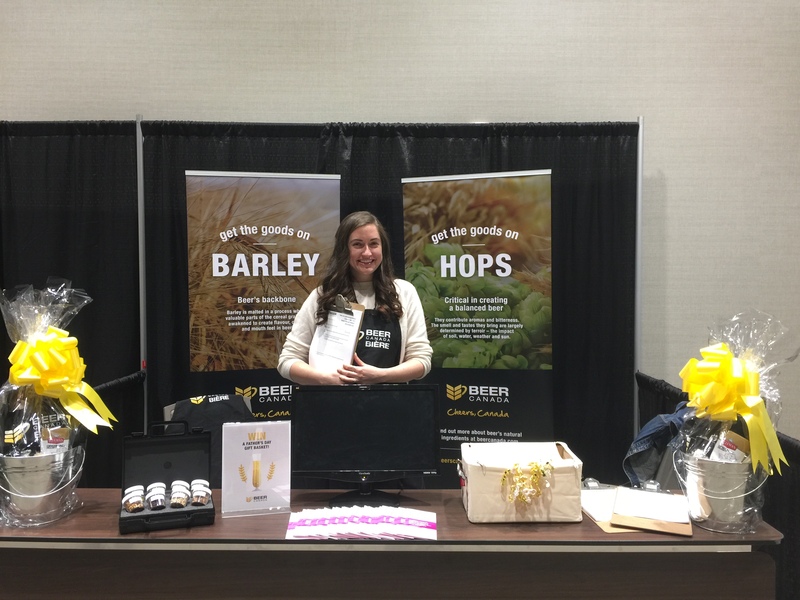 Beer Canada exhibited at the Dietitians of Canada Conference in St. John's on June 9, 2017. Beer Canada partnered with Canadian Cattlemen's Association for an evening with MPs on March 8, 2017. 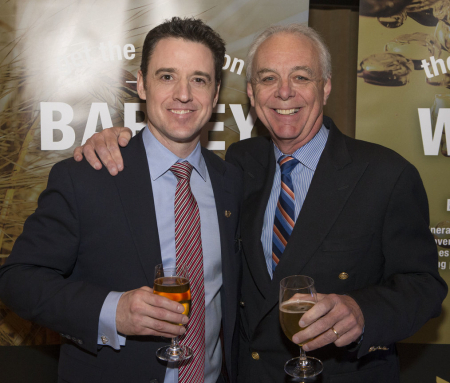 Luke Harford, Beer Canada and John Sleeman, Sleeman Breweries Ltd.
Beer Canada sponsored the National Agriculture Day "Celebrate the Food We Love" reception on February 16, 2017. 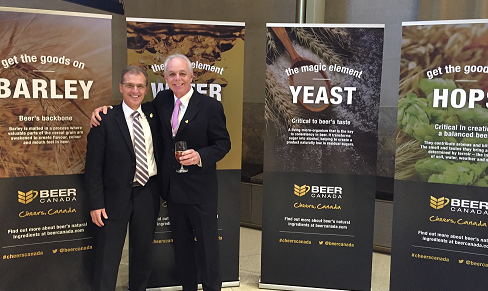 From left to right: Jim Smolik, Cargill Limited and John Sleeman, Sleeman Breweries Ltd.
Beer Canada hosted Canada's Parliament on October 5, 2016 at the Celebrate Beer Fall Fête. 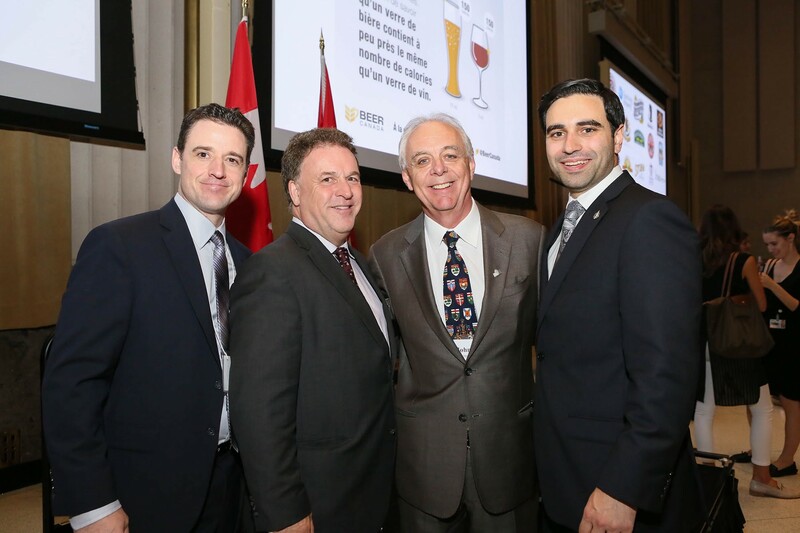 From left to right: Luke Harford, Beer Canada, Gord Brown, M.P., John Sleeman, Sleeman Breweries Ltd. and, and Peter Fragiskatos M.P. 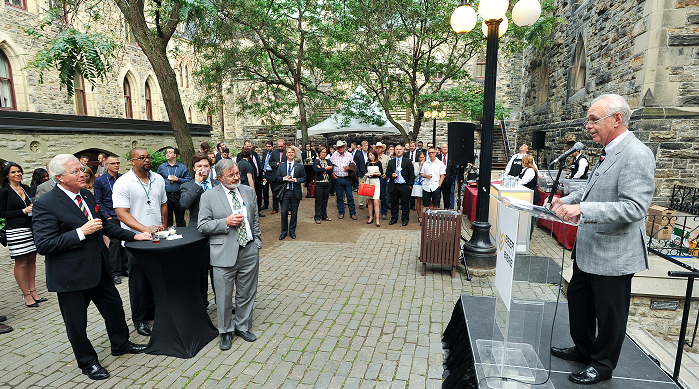 On June 15, 2016 Beer Canada's Celebrate Beer BBQ took place on Parliament Hill. From left to right: Luke Harford, Beer Canada, John Sleeman, Sleeman Breweries Ltd., Peter Fragiskatos M.P., and Gord Brown, M.P. 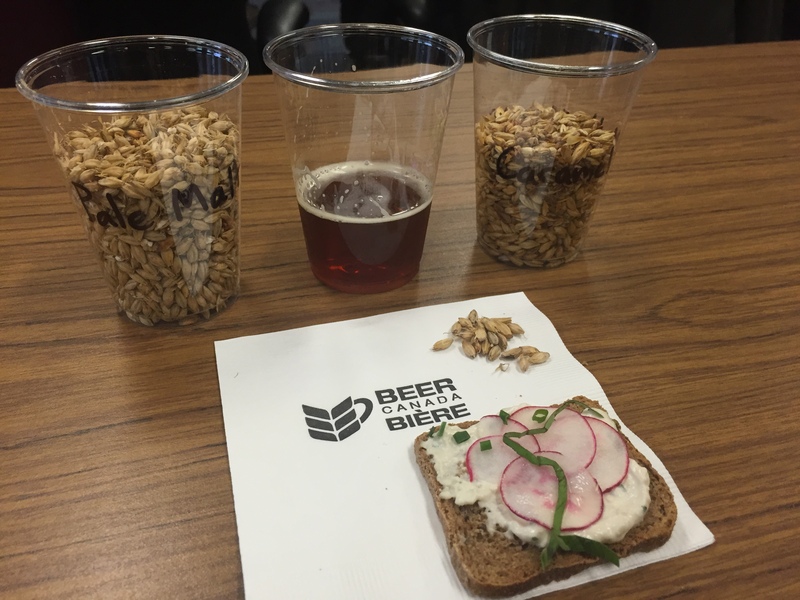 Sampling malts, brews and beer whipped cheese in Winnipeg. Beer Canada partnered with Canadian Cattlemen's Association for an evening with MPs on December 1, 2015. 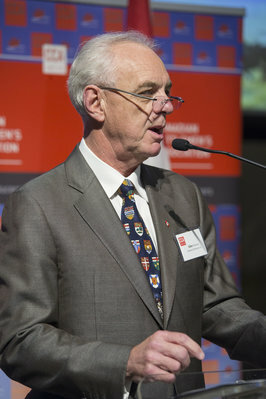 John Sleeman, Sleeman Breweries Ltd. addresses the room at the Sir John A. Macdonald Building, Ottawa. Partners for Safer Communities was launched on September 18, 2015. 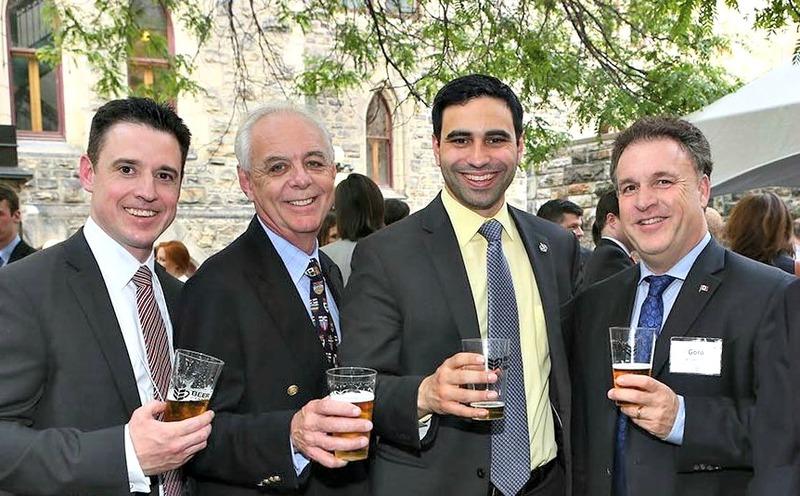 Clockwise from left: Tommaso Magnotta, Magnotta Brewery; George Croft, Brick Brewing; Jan Craps, Labatt Breweries; Charles Bierbrier, Bierbrier Brewing Inc.; Stewart Glendinning, Molson Coors Canada; and John Sleeman, Sleeman Breweries Ltd.
Beer Canada's Celebrate Beer BBQ took place June 17, 2015 at the East Block Courtyard on Parliament Hill. John Sleeman, Sleeman Breweries Ltd. greets the crowd. 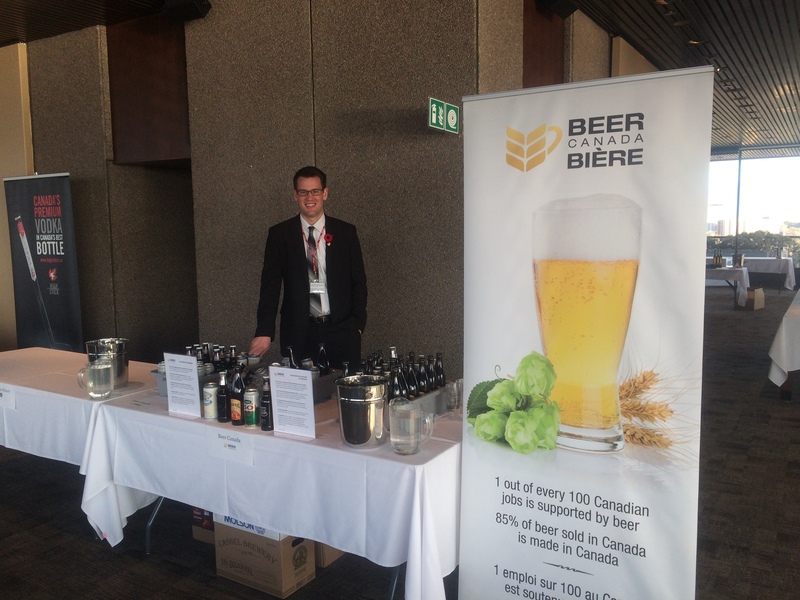 On November 5, 2014, Beer Canada served at the Department of Foreign Affairs, Trade and Development "A Taste of Canada!" Event. 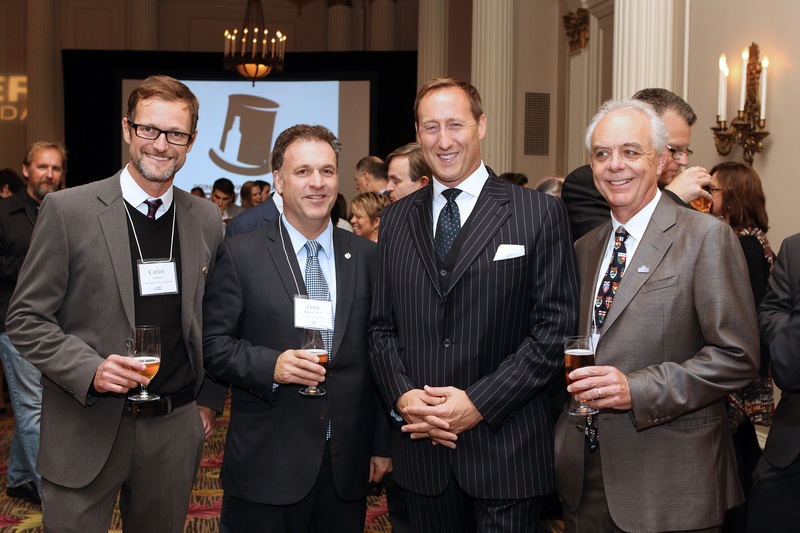 On October 8, 2014, Beer Canada's Celebrate Beer Thanksgiving Reception was held at the Château Laurier in Ottawa. 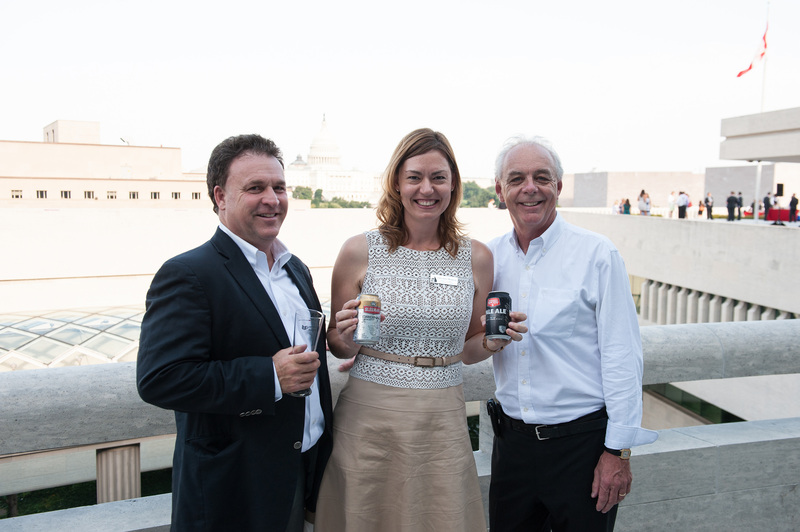 From left to right: Carlos Lisboa, Labatt Breweries of Canada, Gord Brown, M.P., Minister Peter McKay, and John Sleeman, Sleeman Breweries Ltd.
Canadian made beer was featured at a Connect2Canada event on July 23, 2014, at the Embassy of Canada in Washington, D.C.
From left to right: Gord Brown, M.P., Christine Hanson and John Sleeman, Sleeman Breweries Ltd.
Beer Canada's membership meets and greets the Prime Minister Stephen Harper on November 5, 2013. From left to right: Luke Harford, Beer Canada, Gord Brown, M.P. 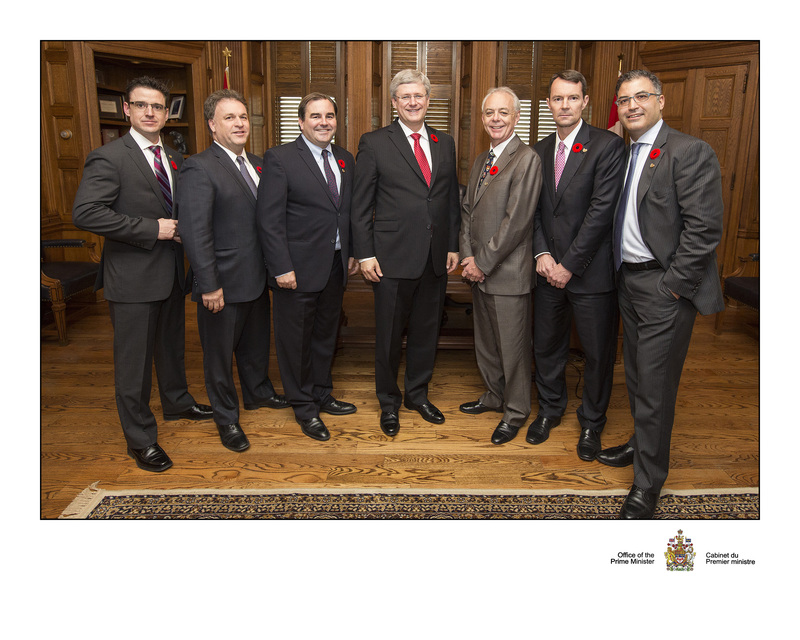 (Beer Caucus Chair), Andrew Molson, Molson Coors Brewing Company, Prime Minister Stephen Harper, John Sleeman, Sleeman Breweries Ltd. (Beer Canada Chair), Andrew Oland, Moosehead Breweries Limited, and Charlie Angelakos, Labatt Breweries of Canada.